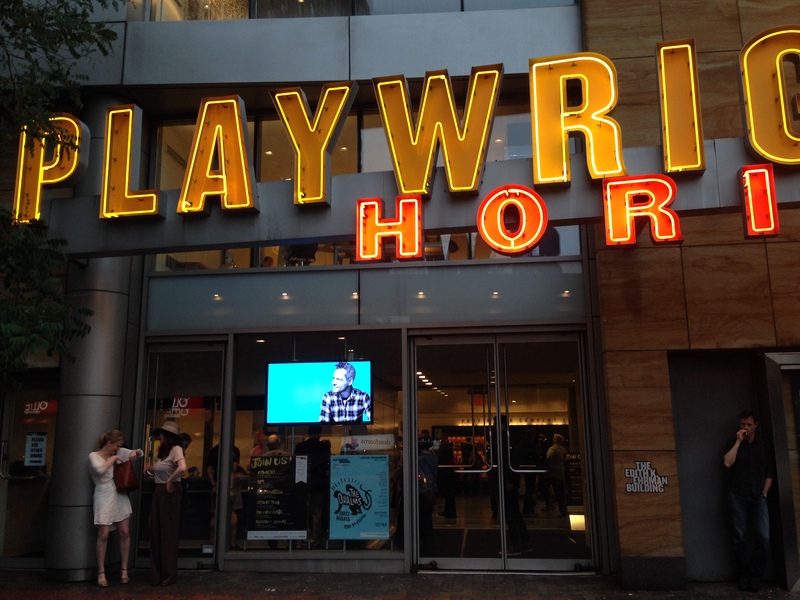 If you’ve been to a show at New York’s legendary new play super highway Playwrights Horizons, then you probably know just how important this place is to the American theatre. Over and over and over again (and then again just because they can), PH delivers the goods that global theatregoers hunger after. Like right now – you’d be insane to miss the NYC premiere of the latest anti-complacency grenade from Brooklynite Bruce Norris, #TheQualms. How do the folks at PH do it? Well, we’d tell you – but then we’d have to kill you. And killing people is wrong. PLUS – trade secrets like that are closely guarded. Suffice it to say, they just do it. And you better get down to PH ASAP if it’s been a while. Because you may have forgotten how good a night in the theatre can be. It is life itself. But just as important as the quality of what you’ll see on stage at PH is the beauty, finesse, and yes drama of their digital presence – the show before the show. And after. When it comes to digital engagement with the audience, the quality of which is what determines whether an actual physical audience will show up to the show, the lil’ old theatre that could down on W. 42nd is an extraordinary, visionary leader. Which is just what you’d expect based on the shows they put on. Prepare for the extraordinary – both on stage and in the digital realms. A touch of the artist is everywhere at Playwrights Horizons. PH’s web presence and messaging are first rate. Go look at their web site – which is a work of art. It is (as any place you’d want to hang out online should be) BEAUTIFUL. And informative. And sharp. If you’re in the business of art, everything you show the customer should be a work of art, right? If your core product is unforgettable modern drama – you can’t have just any old web site. Can you? You start the essence of your brand engagement that first second a new potential audience member hits your site to see what you have. And that digital moment when the curtain goes up needs to be every bit as exciting and unexpected as what happens live in living color. At PH, it is. PH’s email messaging is also outstanding. If you’re going to a show, you’ll get special messages before and after. They round up all the info you need and deliver it effortlessly so you can just show up and focus on the partner-swapping. I mean theatre. And when it comes to buying tickets? If you’re a New York theatregoer, you already know that most of the dominant platforms are literally unusable. In other realms or commerce, we’ve come to expect the Amazon touch – you simply think you want something and you bought it. Done. But the big NYC ticket platforms, which appear to have been designed by the New Jersey DMV, are horrendous. Which is why PH rolls their own. Yup. Go buy a ticket on their site and marvel at how easy and intuitive it is. Gorgeous! On stage and off, Playwrights Horizons is showing the American theatre the way life should be. If you have a theatre and want an audience to come, watch what the folks at PH do. Watch everything they do. Every little thing.